Rebecca and Andrew’s wedding was a long time in the making. They first met in Primary School when they were 11 years old. You could say it was love at first sight, as even back then, they both had a crush on each other, although it was their friends who were pretty integral in getting them to talk. By year 7 they sat next to each other and spent the year passing notes and playing footsies. Despite calling each other boyfriend and girlfriend, they waited until high school to start dating. Andrew proposed on their 10 year anniversary, which was also Valentine’s Day. He started the day by sending roses to Rebecca’s work in the morning, then borrowed his dad’s fancy car in the evening for their date. 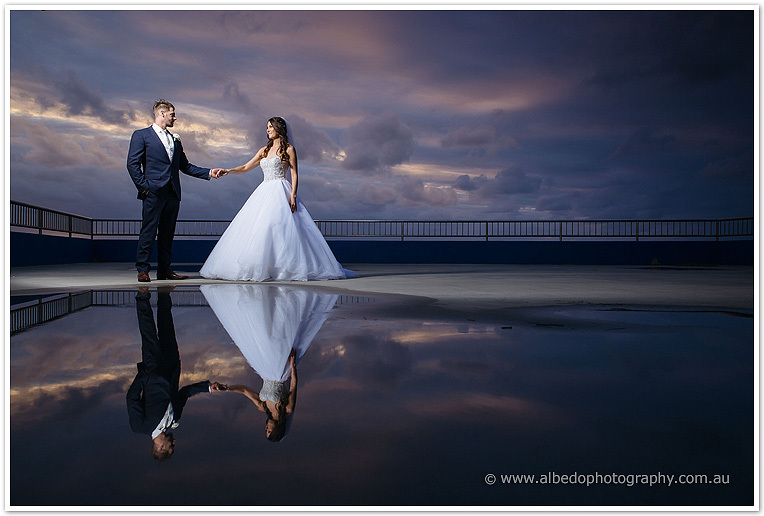 They had gone for a walk on Cottesloe beach at sunset when Andrew asked Rebecca to wander towards the ocean so he could take a picture of her with the setting sun. As he caught up to Rebecca and gushed some romantic and inspirational words, got on one knee and proposed! So two years later that is where they had their wedding, at the Blue Duck in Cottesloe, overlooking the ocean and surrounded by manicured lawns and sandunes. 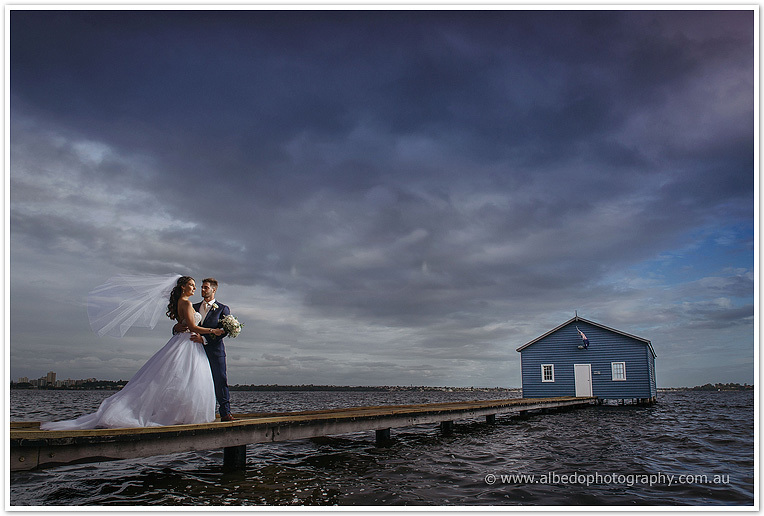 Their ceremony was held at the stunning Christchurch in Claremont, and after a quick stop at the Blue Boat Shed in Crawley we were headed back where it had begun in Cottesloe. Their reception started with an epic sunset, followed by funny, and emotional speeches, delicious food, and lots of crazy dancing! 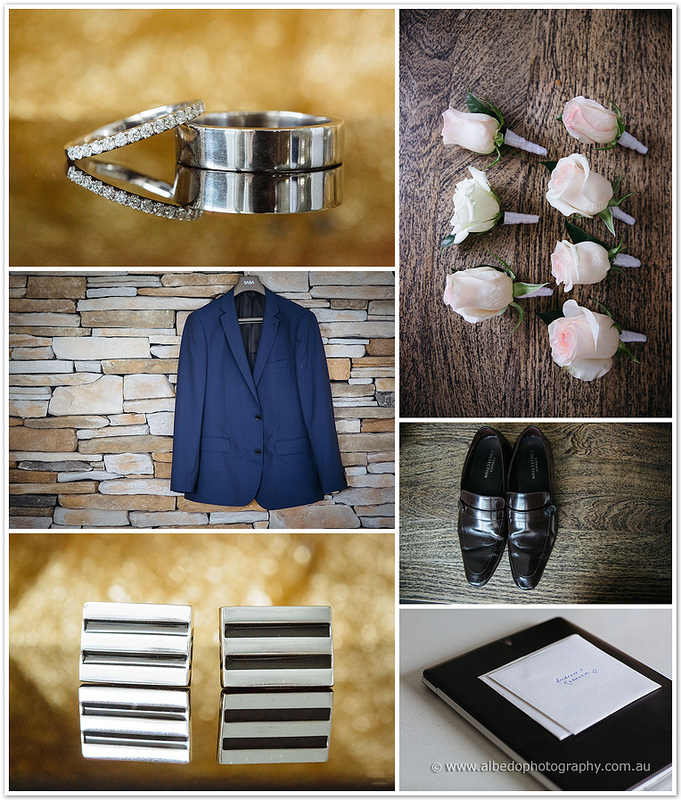 Rebecca and Andrew honeymooned in the Maldives and Singapore, which looked amazing!